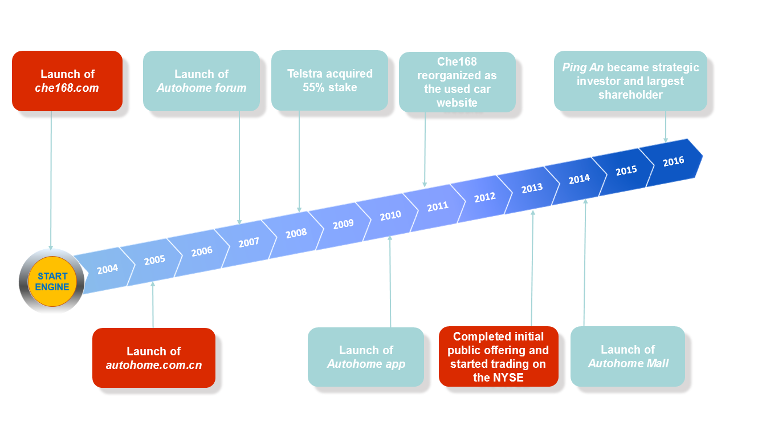 Autohome at a Glance | Autohome, Inc.
Autohome Inc. (NYSE: ATHM) is the leading online destination for automobile consumers in China. Its mission is to enhance the car-buying and ownership experience for auto consumers in China. Autohome provides professionally produced and user-generated content, a comprehensive automobile library, and extensive automobile listing information to automobile consumers, covering the entire car purchase and ownership cycle. The ability to reach a large and engaged user base of automobile consumers has made Autohome a preferred platform for automakers and dealers to conduct their advertising campaigns. Further, the Company’s dealer subscription and advertising services allow dealers to market their inventory and services through Autohome’s platform, extending the reach of their physical showrooms to potentially millions of internet users in China and generating sales leads for them. The Company offers sales leads, data analysis, and marketing services to assist automakers and dealers with improving their efficiency and facilitating transactions. As a transaction-centric company, Autohome operates its “Autohome Mall,” a full-service online transaction platform, to facilitate transactions for automakers and dealers. Further, through its website and mobile applications, it also provides other value-added services, including auto financing, auto insurance, used car transactions, and aftermarket services. Our mission is to engage, educate and inform auto consumers in China with everything they need to know about buying, using and selling cars. Our strategy is to continue to attract and retain automobile consumers by enhancing our user engagement. Increase our "share of wallet" from automobile manufacturers. Expand and further monetize our dealer network. Capitalize on our leading position by broadening our business scope to cover all aspects of the automobile ownership lifecycle. Our goal is to become the dominant player in China’s online automotive advertising market. Our largest shareholder is Ping An Trust & Investment Co., a wholly-owned subsidiary of Ping An Insurance (Group) Company of China, Ltd. (the “Group”), a personal financial services group with three core businesses of insurance, banking and investment. The Group’s shares are listed on the Hong Kong Stock Exchange (stock code: 2318) and on the Shanghai Stock Exchange (stock code: 601318).